Come mingle with the actors! Fill up on good food and drink! Then watch Antony and Cleopatra performed in Original Pronunciation (OP)! 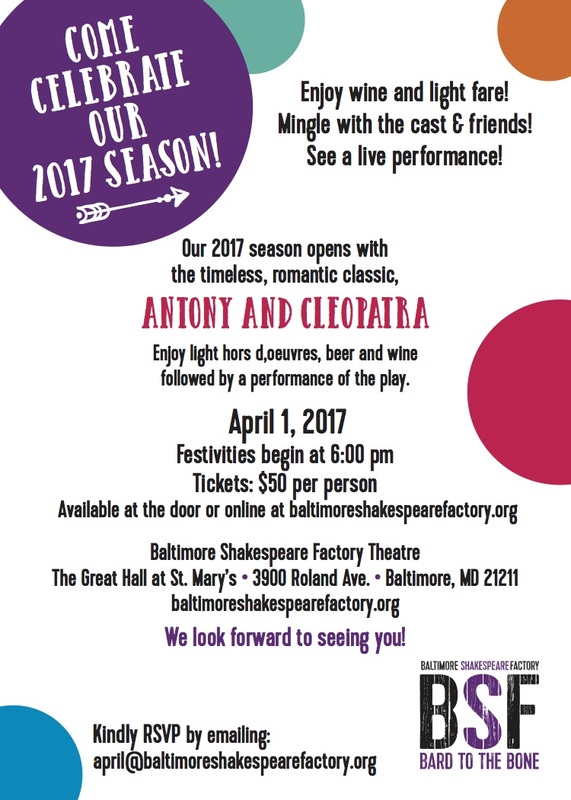 BSF's production of Antony and Cleopatra marks the first time, since of course, Shakespeare's time, Antony and Cleopatra has been performed in OP! Please don't miss this special opportunity to see this wonderful play and to support your local Shakespearean theatre!